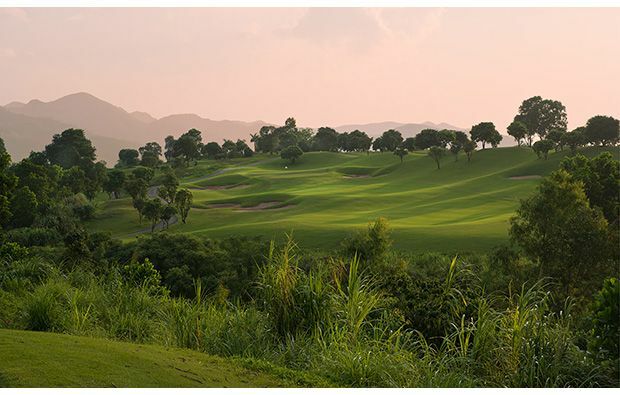 Located around one hour from the city the Sky Lake Resort and Golf Club was recognised as one of the most challenging courses in Vietnam. It is set in beautiful countryside circling the Van Son Lake. There are plenty of elevation changes as the course weaves its way around the Van Son Lake which dominates the view from most holes. 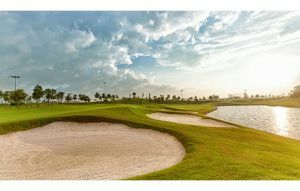 With very cleverly placed bunkers, well-protected and fast greens this is a course to challenge the best. 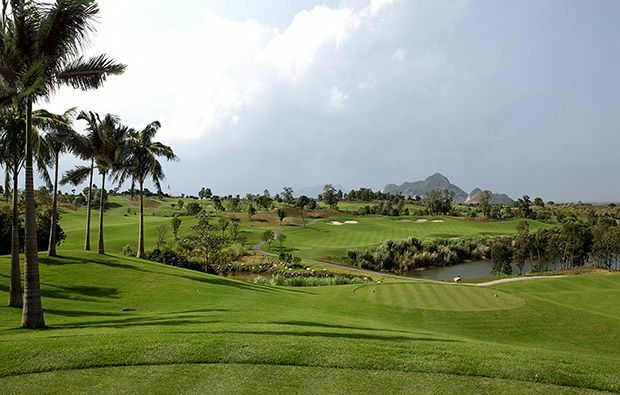 The opening hole on the Sky Lake Resort and Golf Club is a fairly easy par-4 – you just need to be accurate off the tee to avoid the bunkers lining both sides of the fairway. The second is more challenging – a slight dog-leg with water off the left and bunkers on the right and the third is a very long par-5 with a large bunker in front of the green and water all along the left side. The 4th is the first par-3 which although over 200 yards from the back tees is not too difficult until you get on the green which slopes quite sharply from back to front. Things start to get difficult on the par-5, 5th hole with the lake all along the left side and strategically placed bunkers positioned to catch your drive and also your second shot. A challenging approach as the lake cuts in front of a green which is surrounded by bunkers. The remaining holes on the front nine are not too difficult and gives you an opportunity to pick up some shots. 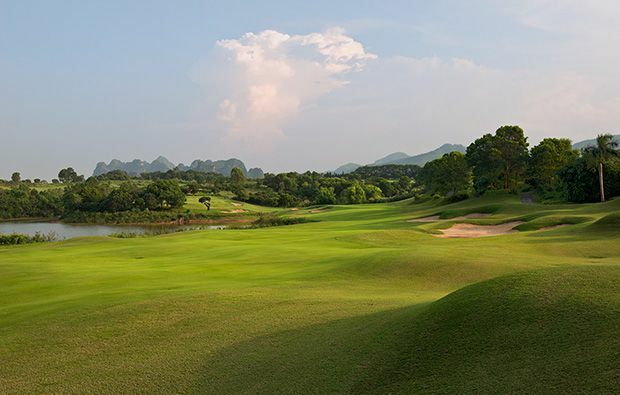 As you start the back nine on the Sky Lake Resort and Golf Club you are faced with a daunting tee shot on the 10th which demands an accurate drive over water to a narrow landing areas protected by several bunkers. If you can get in the right position then it’s a relatively easy approach. The 11th is a driveable par-4 for the big hitters but the entrance to the green is quite narrow and protected by two bunkers. The 12th is a long but relatively easy par-5. The 13th is an interesting par-3 with water all along the right side and an island green surrounded not by water but a huge bunker. The 14th is rated as the most difficult on the course with water along the right side and a narrow landing area protected by several bunkers. The approach to the green is also challenging with several bunkers waiting for the under hit shot. The 15th is pretty straightforward but be careful of the OB on either side but at least there are no bunkers. The 16th is a very long par-3 with water lining the right side of the fairway from tee to green. 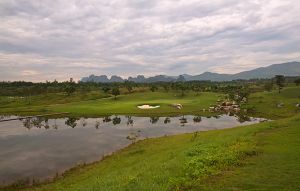 A great finishing hole which is a long zigzag shaped par 5 with plenty of well-placed bunkering and a trick approach to the green with water encroaching on the left. 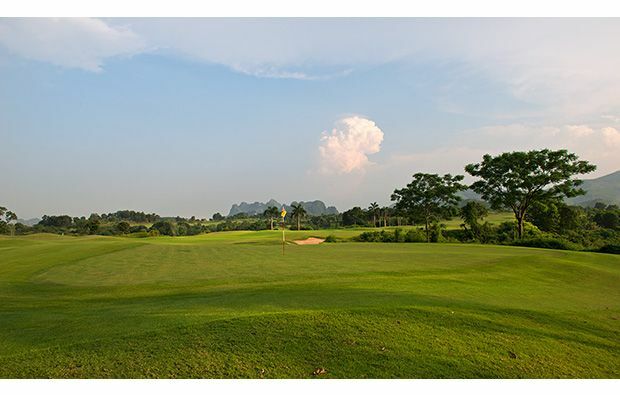 The Sky Lake Resort and Golf Club has a large modern clubhouse in an elevated position offering great views over the surrounding countryside and The well-stocked golf shop stock many of the leading international golf brands. There is a floodlit driving range with chipping and putting practice area and there are plans to open a Golf Academy. The Sky Restaurant offers a selection of Asian and Western cuisine. Golfsavers have excellent rates at this golf course and using our simple booking engine it is very easy to book your chosen tee time. Sky Lake Golf Resort Lakes Course has different Services to offer. Choose a date and number or players to see the rates.